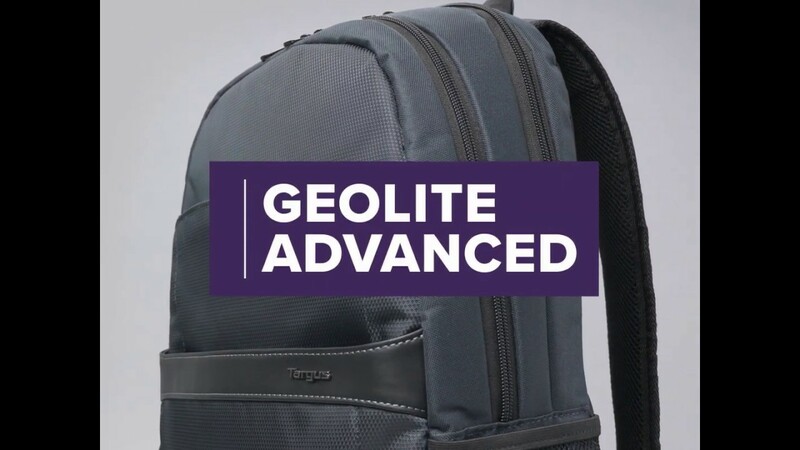 Get professional style and abundant organization with the 12”- 15.6" GeoLite Advanced Backpack. With a clean, lightweight look, it’s ideal for professionals who want laptop protection and added organization in a modern silhouette. The Targus quality foam compartment protects your laptop from everyday bumps. The padded back panel includes air mesh for added comfort. Multiple zippered pockets inside and out keep you efficiently organized. Dual side pockets keep your hydration and umbrella close at hand. Travel with ease atop rolling luggage with the integrated trolley strap. 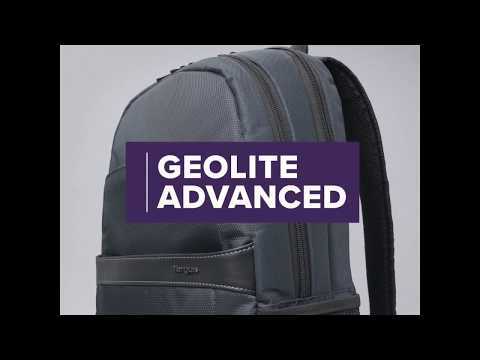 Durable, dobby polyester in modern slate gray delivers minimalist good looks. Water-repellent fabric helps keep it looking good for the long haul.